PILOMAT’s strength is its wide range: whatever the need, ranging from residential security installation to the highest level of antiterrorism securities, we have it all. Our products and accessories always provide for the possibility to find the ideal solution to satisfy any needs regarding management, safety, and design. Automatic electromechanical bollard. 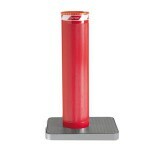 The EM series automatic bollards are the products with the best quality/price ratio of the PILOMAT range. The current models are the result of the development of more than 20 years of experience. Automatic hydraulic bollards with pump in the control unit housing. 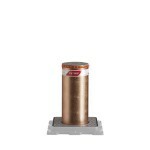 The PL series automatic bollards are the products with the best quality/price ratio of the hydraulic PILOMAT range. The current models are the result of the development of more than 20 years of experience. 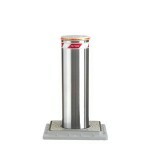 Automatic hydraulic bollards with built-in pump are the top line products of PILOMAT range. P series includes a wide selection of automatic bollards different in diameter, height, protection rating and performance. The current models are the result of the development of more than 20 years of experience. 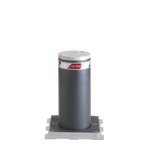 The range of PILOMAT K4/M30 automatic bollards includes three models tested to ASTM standard, offering different security rating. These products are designed to assure the anti-terrorism defence. The range of PILOMAT K12/M50 automatic bollards includes two products tested to ASTM and PAS68 standard, offering the ultimate anti-terrorism protection. Discover all the accessories for these products. Discover the examples of installation dedicated to these products.